New Apparatus Pictures are up! The pictures of the new apparatus are up. I will make videos of the apparatus on our Youtube Channel and get that out of the way for now. Hi there! Chief Jones here with an update on the apparatus! Our Snorkel 34 has retired and we now have in place Ladder 34, Engine 34 got a new ladder and lightbar. Medic 136 has some changes and is now Squad 34. All the changes will be on the apparatus page by the end of the week to clear up any confusion. Snorkel 34 Arrives at the Station! Congratulations to the crew for the finished product of Snorkel 34. We expected it to be a Pierce, but in the end, it came out as a 2005 E-One Squrt with a bucket on the end. Chief 34, Deputy 34, Utility 34 Retired. Medic 136 In Service! New Snorkel 34 Construction Begins! Chief 34, Deputy 34, and Utility 34 have all retired. 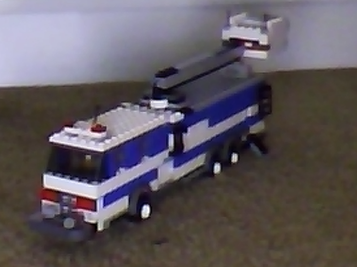 But on the bright side, Medic 136 is Now in service. The Medic is a Ford F-series Chassis with a box style rear. For more information, visit the Apparatus page. Also, Snorkel 34 is being constructed. Snorkel 34 will most likely be a 2010 Pierce with a 60 ft (when extended) boom arm and bucket with prepiped waterway. Information about the vehicles can be found in our Apparatus page. It’s Chief Nick with great news! We are finally on Youtube! I am going to put videos of the models so you can see they are not edited and that they are my own models! I may also once in a while post a stop-motion video of a call or two. Congrats to J. Rastetter for becoming Battallion Chief, Treasurer, and Department Representative! Welcome to West Brickston Fire Department! We hope you enjoy your time of service here and stay safe Chief! WBFD34 YouTube Our YouTube Channel!